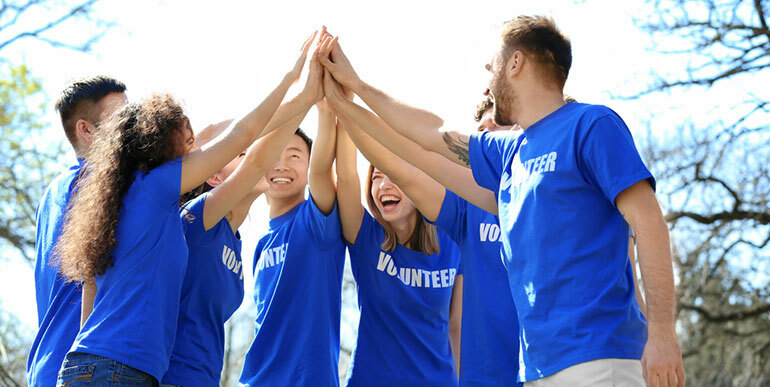 Why Volunteer for Charity Work? One of the many reasons why people give donations to charities is because of inspiration. An individual can be encouraged to give because he or she reads a story about the person who’ll be receiving. Some are inspired to give because of the inspirational donation stories of other people. Lynn and her 10-year-old daughter Riley Christensen were snuggled on their family computer to check some bikes online, deciding to pick one for their dad. While browsing to one of the websites, a link to a certain video caught her attention, leading her to click it. Upon watching the video, she realized it was made by an organization that offers uniquely engineered bikes for individuals with disabilities—showing faces of the beneficiaries of different ages and various conditions. Riley, upon seeing the video told her mom that she wants to buy a bicycle for one of the kids in the video. 2 days later, Lynn presented Riley a letter, asking for donations to be able to buy the bike. Obviously, her mother liked the idea. But since it wasn’t an ordinary bike, it could cost her approximately $4, 000 to be able to buy one. And even though it may be impossible, she passed the letters to more than 70 relatives and friends. After three days, she was beginning to receive donations. Christmas came, and more donations arrive at their door. It was almost Christmas when she was able to save around $12, 000, enough to buy 7 normal bikes. During the Christmas Eve, she wore a Santa hat and delivered the bicycles herself to the three lucky kids who will be receiving it, Ava (13 years old), Jenny (15 years old) and Rose (4 years old). Delwyn Collins was one of the kids growing in the projects of Fort Worth, Texas. Considered as an incapacitated individual, along with his learning disability, there was no other choice but to send him to a special education school, the teachers never guessed that he will be a caring expert. Today, he works in a cafeteria of the Tampa General Hospital. He has become an angel to countless foster kids in Hillsborough Country of Florida. Every Christmas, he would put up a Christmas tree where children can wish what they want to have. Although he doesn’t earn much, he makes sure to save some of his weekly salaries to buy the gifts the children want and put them under the Christmas tree. This genuine act was able to inspire doctors, nurses, and administrators in the hospital. Now, he doesn’t have to buy the gifts for himself, since the hospital staff makes it a habit of picking one kid from the tree. Now, it has been receiving donations throughout the country. He teaches us that whether we’re poor or rich, we have the responsibility to help one another because there is always someone who is in a worse position than us. Garment steamer as rewards for corporate employee volunteers There are so many people struggling in this planet right now. People do not have the basic necessities. Also, there are so many people in this planet earth who suffer from various kinds of diseases but they cannot treat it as they do not have enough time to do it But then again, people do organize various things for such people. And such organizations are called as nonprofit organizations. These organizations are really important for such people. And the people who work for such non-profit organizations are the people with a really good heart. And these people work without expecting anything in return. So, if these people are rewarded for their work then surely it will be a great boost not just for them but also for the other people who keenly observe them. Also, these people who work for such nonprofit organizations are actually people who work in the corporate sector. So this is basically a deed from their side. Now, a garment steamer is something that actually makes a great gift. There are several reasons also to gift a garment steamer to these nonprofit organization volunteers. As mentioned earlier, they work also for the corporate sector. Their life is always busy and tiring. These people have literally no time to waste. The fact that the garment steamer of your choice is given as a gift is something really appealing. Ironing clothes have become an age-old tradition. Everyone and anyone do it almost every single day. But the traditional iron box is very old and not updated for the current technology. But a garment steamer is not like this It is fast, efficient and also very easy to use. Everyone can use it very easily. There are so many garment steamers which one actually suit your budget. 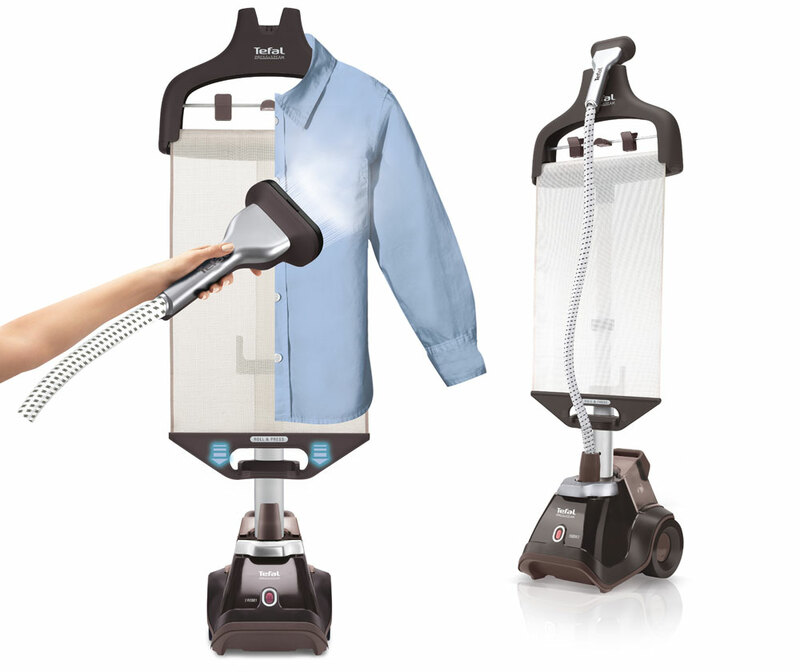 A garment steamer is great for busy corporate employees. This is because since the garment steamer is faster than the iron box. This will hence save a lot of time and energy of the person using it Also, people those who have actually used it know that this is way better than the traditional iron box. So if a garment steamer is gifted to a busy corporate employee, then surely their time will be saved. They can hence use this time and energy to spend with their family or at any nonprofit organization. That will be great as time is really priceless. And if a garment steamer saves the time of a busy employee then surely that’s the best gift for someone especially whos busy working day and night in the corporate sector. There is so many garment steamer available in the market that you can easily choose anyone that easily suits your budget. Hence, gifting a garment steamer as reward to a volunteer of a nonprofit organization is actually a very good gesture. The time they spend on this noble task is indirectly given back to them to spend with their family. Now, this will indirectly affect many people from the outside. When they receive the gift, others will also get this will to volunteer in these types of organization. So anyhow, this is the best thing a nonprofit organization can actually do for their volunteers. Life will be so much better if everyone is ready to do such a task. Our planet would be heaven if everybody helps everyone. There are many charitable organizations today. It is our noble task to assist them to achieve their mission by supporting them. Buying a gift for such organizations is one way of offering them support. If you are thinking of buying a gift to a charitable organization that supports woodworkers, we have prepared you a list of gift ideas you can consider purchasing. This is one precious gift that you can give an organization that supports woodworkers. The table saw is very powerful as it is a heavy duty saw. It works in very little blade vibration and gives almost exact cuts on timber. The physical dimensions of the saw allow it to do great jobs for the woodworker. This machine really helps the woodworker to save a lot of time as there is no use of hand saw. It also makes it possible to do a lot of work hence more earnings as it is highly efficient. A woodworker who is used to a normal tape measure will really be excited at the sight of this kind of a tape measure. Though seemingly simple, it is a great gift. The tape measure assists the woodworker to save a lot of time taken in reading the calibrated lines. Again, the digital tape gives the woodworker a lot of exactness on measurements. A laser square is a crucial tool for a woodworker for tiling and picture hanging among other projects. You might consider the gift idea since the tool is hard for the woodworker to have in many cases due to challenging financial situations. The tool enables the woodworker to draw straight lines and highly accurate lines. It also assists them to measure the correct 90-degree to enhance their final product result. This is a gift idea you might consider for that charitable organization. The kit contains upgraded tools that make the traditional glue bottle work better. The attachments in this kit make glue application more appealing, uniform and smart. A circular saw is worth giving to a charitable organization for the care of the woodworker. This tool assists the woodworker to convert circular saw to table saw if need be. The saw assists the woodworker in cutting all kinds of wood for joinery, fittings and other purposes. This is a durable saw that is consistent, reliable in performance and very tactical in the industrial working. The saw has a 52-inch T-Glide fence system that smoothens its working and gives it precision. The woodworker will benefit from the speed of the cabinet saw. In addition, it’s highly durable hence a long-time service to the woodworker. Financially-challenged woodworkers may not be able to purchase these modern woodworking tools required in their work. Giving one of the tools as gifts to a charitable organization means a lot to them as it is a direct way of meeting their needs. The tools assist them in carrying out their daily jobs hence earning an income to support themselves. A dog shelter is a non-permanent home for dogs of all shapes and sizes—a safe haven where they can be taken cared, nourished, and showed kindness when the animals extremely need it. Building and maintaining a dog shelter is not as easy as taking care of a few pooches, and you should not invest into it lightly. It’s a really big investment, which includes a lot of research and training, including the heart-wrecking duty of putting down dogs. But other than that, building a dog shelter can be really valuable and fulfilling journey. If you’re considering building a dog shelter, this is the most crucial research that you’ll have to do before you get absorbed to the idea. Research about the different problems of your local animal welfare organization. Is there any other animal shelter in the area? Do they fail to provide the needs of the dogs? How does your local community handle animal control? These are just some of the questions you need answers before taking the next step. 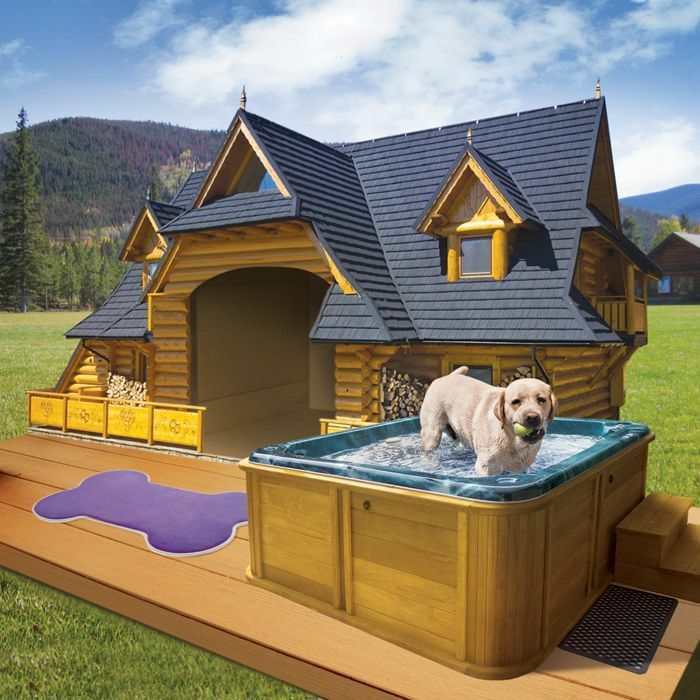 After your research, do you still want to build a dog shelter? Do you think you have enough resources? If not, it’s okay to walk away and support other animal shelters. You would know by now that it’ll be impossible to run an animal shelter alone, therefore you need to find the appropriate people for each of the positions in your team. The most important positions might include a veterinarian, a lawyer, and a teacher. Each should be willing enough, even with little to no salary. Include all of your team members to your visits to several dog shelters. Ask the staff of the shelters some important questions, and take videos, photos, and notes. Assuming that you and your team has discussed everything that you need to discuss before building a dog shelter, it’s time to put the idea into the paper. Your dog shelter’s mission statement should include your organization’s purpose. For a non-profit organization, constantly asking people and other organizations for funds is inevitable. Running a dog shelter is a business, and therefore you need to create strategies. When you’ve already built your animal shelter, spread the word for the opening of your establishment. You can make press releases, advertisements, and even house parties. Doing this is not just a celebration, but it is also a great way to promote your dog shelter. Sharing happiness is a project for a humanitarian cause. Its aim is to raise awareness of communicable and lifestyle diseases through early diagnosis and timely treatment. The table tennis foundation has been the main humanitarian organization to support other minor organizations by raising funds through the sport. The proceeds from the tournaments support the cause. Since its inception, the number of beneficiaries increases by 20 percent annually. The diseases include dementia, Alzheimer’s disease, depression, and stress-related illnesses. The sport enhances physical and mental fitness. These are lifestyle diseases, the foundation creates awareness of healthy living through the active participation of the infected in table tennis. All the proceeds from the tournaments support table tennis foundation programs since they have the structures to raise awareness of healthy living through sport. Ping Pong for charity promotes the health benefits of playing table tennis. Some of the benefits include brain stimulation, cognitive development, brain fitness, improve alertness and concentration. These are to save the future generation from stress-related illnesses as a result of successful management of life challenges. It popularizes the sport not only as a sports career but also as a fitness strategy among the young and the old. Advanced technology has minimized body movements, most of the tasks are carried out the comfort of our homes. Some of the tasks include making payments, sending emails, driving the body is not given priority to natural y run the normal body functioning through walking, running, jogging among other physical body exercises. The foundation runs different charity programs with the aim of raising fund and awareness on behavioral change to reduce the risk of lifestyle diseases. Some of the programs include charity walks, cycling, and ping pong tournaments. They help involve the public in their programs. It also has a different category of a sponsor who is also actively involved in the foundation activities. The categories include gold sponsors, silver sponsor, and bronze sponsor. There are also individuals who come up to support the cause. The foundation has various partnerships with education institutions like schools to curb the young population and nurture their talent while solving their brain-related challenges. 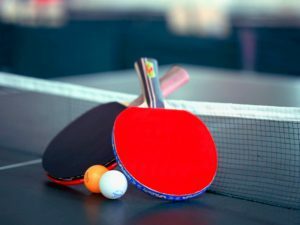 Charities also use good table tennis rackets for under $50 and robots to improve your game [www.bestpingpongtables.review]. In addition, they have volunteer programs to bring professionals in various fields on board to support the programs. Religious institutions are not left out either; as victims seek spiritual guidance the clergy also advocates for physical fitness. Ping Pong has proved to have positive effects on human health. It is a cheap sport, which requires less expensive equipment. The programs also act as a social networking platform for all the stakeholders in the charity industry. Their mission is to reduce the mortality rate from lifestyle diseases through healthy living and playing table tennis for physical fitness. People are endowed with different wealth and successes. It makes no sense of owning too much when someone somewhere wholly lacks even a basic need. This is the gap that Non-Governmental Organization fill to help the less fortunate in the society. They may just have the materials but lack the capital to pay wages hence a stipend comes in handy to sustain volunteers who go out of their way to ensure they achieve the goals of the organizations. 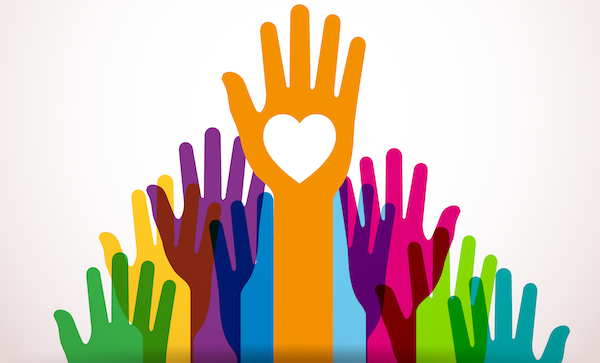 Volunteerism comes in the form of material or human resource. 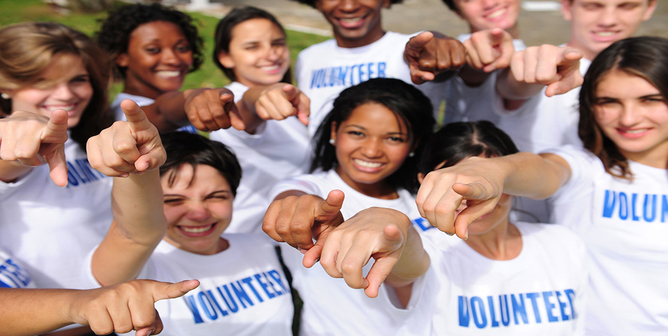 The human resource volunteerism means that they work for the organization without any payment. The Red Cross Society volunteers is a global organization which runs one of the worldwide volunteer programs. Every organization has different policies when it comes to dealing with volunteers. If you want to join any of the organization, make an application and get all the details which include accommodation and nature of the work such that you prove if its line with your schedule. In some case, it could just be short-term in which it is only your services that are required. An example is a medical mission where doctor volunteers come in handy to offer medical services in a particular community. 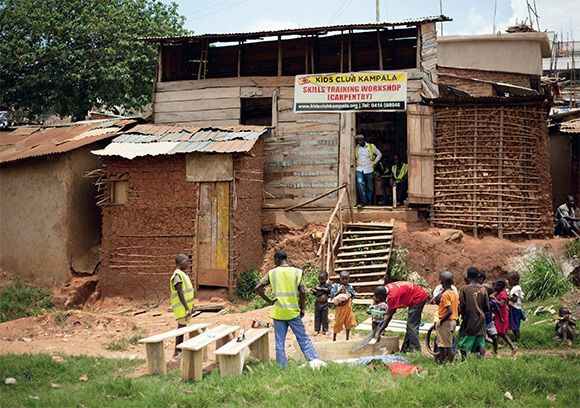 We have had cases where the volunteers have come up and built a hospital as a long-term solution to a health program. A simple medical camp escalated to a mission hospital to enhance the therapeutic development goals. You must also consider the government policy of that host country so that you do things legally, and it prevents any court battles and fines which might drain the finances of the organization. The other form of volunteerism id through material donation. In this case, they may opt to personally go to the target beneficiaries and give out the donation in person. Alternatively, they look for a whole organization which they channel all the donation and the entire work I left to the experts to check how it reaches the beneficiaries. You have a chance to showcase your skills and practice them. It is through this exercise that you realize that you have the potential to handle somethings which boosts your confidence. Humanity is a delicate discipline such that when you are part f making a difference in someone’s life in itself is satisfactory. This is a chance to meet people from diverse backgrounds right from the volunteers as well as the community you are serving. It widens your level of thought and reasoning with a choice of looking at life from a positive angle and appreciating what you have however little- others lack at all. In one’s lifetime, you must look at last more volute to have a complete lifestyle. It gives you a chance to take part in positively brightening someone’s life- it makes you happy and satisfied. At the same time, you will learn new skills in the process of making a difference. These skills come in handy to enhance your knowledge which you might use in your future life. For a motorcycle charity activity, there is a big chance that you’ll be using your motorcycle. It may require you to go to certain places, drive particular roads, and follow certain road paths, all of which need an effective motorcycle GPS. What should you look for in a motorcycle GPS? First and foremost, it should be able to function as a GPS, giving the right information and directions. And without a clear and visible screen, it will be impossible for you to do that. To guide you on what to choose, here are some of the best units in the market. The Garmin Montana 650t motorcycle GPS is believed to be the ideal model by a lot of motorcycle riders when it comes to an extremely vibrant and clear touch screen at four inches, with a significant amount of protection from sun glare, and a really solid design, allowing it to handle any rough road without any complication. Garmin has been a great provider of motorcycle GPS, and it wouldn’t be a surprise if another one of their product makes our list. The Garmin GPSMAP 60CSx is an outstanding motorcycle GPS model that has the capacity to handle the wear and tear of the road. Added to that, you’ll be able to use the unit for a long time, especially with the 18 hours of battery life it provides. However, the best feature of this product is the easy readability, even with a direct sunlight hitting the screen. You’ll clearly benefit from it while motorbike riding, and viewing the GPS’s 2.6-inch display clearly at a single glance. When it comes to gadgets such as a motorcycle GPS, every motorcycle rider has a different opinion when it comes to the best unit. However, no one will argue that the TomTom RIDER Motorcycle Navigator is one of the best units for 2016. This model with a 3.5-inch display, has the most favorable shape for motorcycle riders, especially with an extremely compact and tough structure. You will enjoy a 4.3-inch display screen with this Zumo 665LM model, from this another product by Garmin. Aside from that, you will also be able to check the weather channel, and search for specific traffic information in a certain area. Furthermore, through this motorcycle GPS, you get notified with speed limit warnings, improving your motor-biking experience, which includes a safe motorcycle drive and ticket-free riding. If you don’t want an obvious GPS system for your motorbike, you will consider the Magellan eXplorist GC Waterproof Geocaching GPS. Despite its small size, it is surprisingly sturdy. Added to that, you can still read it clearly even with the small screen. Its screen size is just 2.2 inches. And among the units on this list, this product is the smallest. It allows you to connect to a bigger community of riders, allowing you to upload notes of a particular place, which gives a future reference for motorcycle riders like you. Begging money may sound easy, but it’s not. For people to give you money, you have to give them a compelling reason. For successful fundraising events, here are three great tips that we would like to share with you. You want your donors to think that you can read their minds. You don’t have to actually learn how to be a mind reader, you just have to research each one of them. Aside from an individual research, you also have to research your donors as a whole. Researching requires answered to be questioned. What type of words do your donors use? What story do they tell when they feel passionate? What do they care about must? What other charities are they involved in? Do they have a prior history of giving donations? With our internet, it’s so easy to get information about your donors. So, therefore, take advantage of it and research as much as you can about them. You can ask your donors for answers, personally. However, you must know how read their answers. If you want to connect your donor’s emotions to the main purpose of your fundraising event, powerful stories are one of the most effective ways. If your fundraising event does not have a brand or a story to symbolize your purpose, your donors won’t be able to visualize or completely perceive how righteous your purpose is. If your speaker has the capacity to make the audience connect with him/her (or a story) on an emotional level, they tend to toward holding your fundraising purpose. Therefore, never forget to share some heartwarming story to your donors, increasing your chances to get more donations for your charity. Don’t waste your potential donors’ time during the fundraising event, use it to educate them about your cause, and showcase them the effect they can create by donating. You cause use photographs, videos, quotations, and even through pieces of artwork. It’s also a great way to show them what their donations can accomplish. Giving the donors with real examples of the endgame of the money you’ll be raising and the impact it will have will give fulfillment to your donor, encouraging them to be regular donors for your next fundraising events. You don’t have to have the same fundraising ideas as other charities. You can combine fun and humor to raising more money and getting more donors. There are many ways you can be goofy. One is by rewarding your donors with a unique token of appreciation after donating. You can also aim silly, small objectives that come along with a consequence for the organizer, helping other people to donate to your cause. For example, you can tell them you’ll shave your 5-year-old beard if you reach $6, 000. Not only that, there are other organizations that impose consequences first, compelling individuals to donate to get rid of that consequence.